91 % OF PARENTING TIME IS SPENT COUNTING TO THREE. - ProudMummy.com the Web's Community for Mums. Home » Memes » Parenting » 91 % OF PARENTING TIME IS SPENT COUNTING TO THREE. 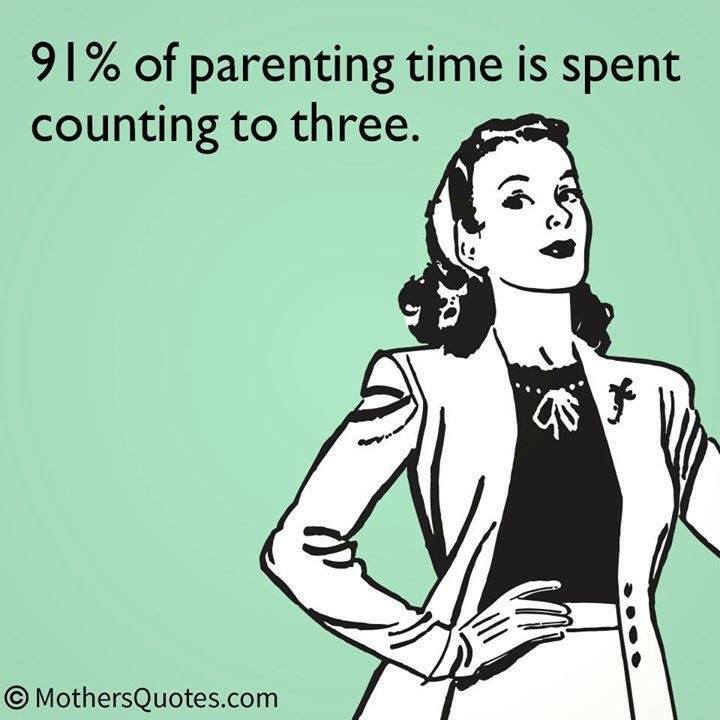 91 % OF PARENTING TIME IS SPENT COUNTING TO THREE. And the other 9% is spent ‘watching this’..
Danny Bowers...what happens after 3? Or countimg down to 3.